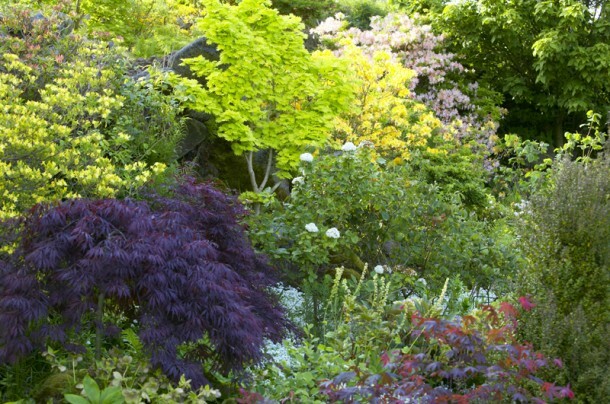 Approaching the house on your left is a spring bank with azaleas – all deciduous, scented and with good autumn colour. 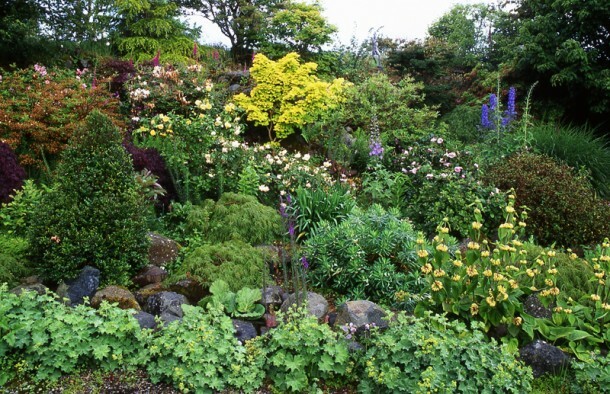 Various acer and ericaceous shrubs underplanted with hellebores, snowdrops, narcissi, wood anenomes, lily of the valley and iris reticulata. Agapanthus and Hybrid Musk rose fill in in the summer. 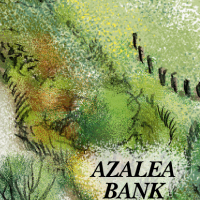 My first encounter with this bank was as an impenetrable thicket of blackthorn and brambles, I had no idea there was ‘land’ above until told of it by the vendor, Peter Cianchi. I cut myself a path through to be met by the equally impenetrable thicket at the top! Digging out, clearing and quarrying ensued. This really was the start of the expansion of the garden. I had promised myself only the Front Garden and the Kitchen Garden. But. Plants I had bought with me sat waiting in the field – I eyed up this bank and thought the azaleas would be good there and, as with the rest of the garden went ahead with no concept of the back breaking work involved. All I can say is I am glad I started when I did, it would now be impossible for me. One of the rewards of this work is good autumn colour which I find unusually relaxing and pleasurable.